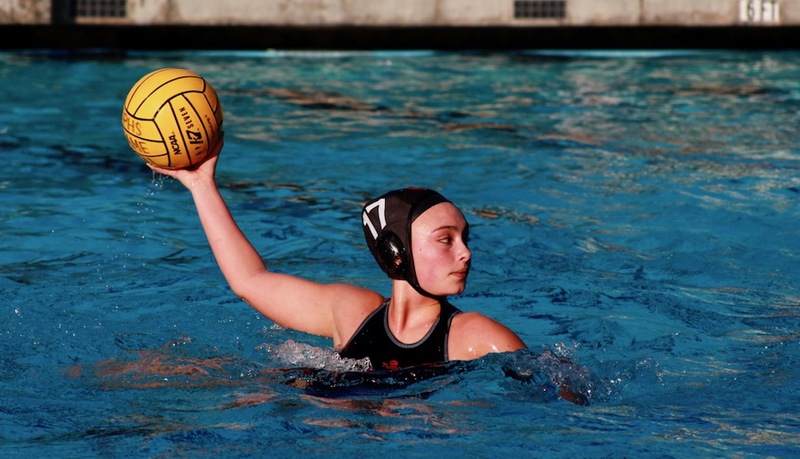 The girls’ varsity water polo team shut out the San Marino Titans in an 8-0 away game win on Tuesday, January 31. This away game victory brings the South Pas’ season record to 4-2 and overall record to 14-4. Both teams came in fresh from participating in the Bonita Varsity Water Polo Tournament. The Tigers won four of their five games on Friday, January 27 and Saturday, January 28, beating out teams such as Redondo Union, Glendora, and Montebello for the silver division first place trophy. South Pas started the first quarter with low-energy plays against rival team San Marino, as key player junior Hayden Carlson was absent from the game. More than halfway through the quarter, multiple passes from junior Marta Jerebets to sophomore Jael Osborne to sophomore Olivia Hunt scored the game’s first goal. The Titans’ attempt to retaliate against the Tigers resulted in a sloppy miss past the goal. San Marino’s defensive energy throughout the quarter grew more urgent before junior Sumiko Rudisky produced a swift steal and goal, ending the quarter at 2-0. In an effort to close the point margin, San Marino possessed the ball early in the second quarter. South Pas goalie senior Skyler Ramirez blocked each Titan attempt with strong, explosive movements. Junior Venus Vu showcased her offensive power by shooting the ball back into the goal after defenders pushed it out but did not score as time elapsed. The remainder of the quarter produced even more occurrences where neither team could score before their time limits. With little over a minute left in the game, the head coach Meaghan Paschall called a timeout which led the girls to make a series of cohesive passes and a goal from sophomore Sydney Shettleroe. South Pas struggled to hit its stride early in the third period, failing to take advantage of key opportunities. Several sloppy plays cost the team offensively, but the Tigers’ strong defense thwarted San Marino’s attacks. Later in the quarter, Osborne and Shettleroe scored back-to-back goals, adding to South Pas’ lead. Shettleroe closed out the quarter with another score, giving the Tigers a 6-0 lead over the Titans. In the fourth quarter, South Pas slowly relaxed with such a large-margin lead over the Titans. Osborne had a few close shots on goal that bounced off of the goal posts, and Hunt scored another point for the Tigers. Ramirez consistently kept San Marino from finding the back of the net, while Rudisky added to South Pas’ lead before ending the game 8-0. The Tigers stay on the road this week with a matchup against Temple City on Thursday, February 2. South Pas lost to the Rams 19-7 at home earlier in the season. Covering a variety of events from school assemblies to city policy matters her first year, Rachel Lu found an outlet and passion for student voice through Tiger. She returns as News Editor this year with an eye for both the breaking news and the annual. 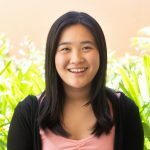 Through Tiger’s print and online platforms, she looks forward to a year of delivering South Pasadena news to its distinct schools and community.